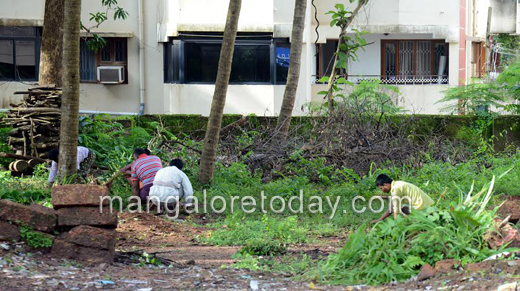 Mangaluru Aug 04, 2016: More than 10 jail inmates were seen working outside the jail premises near Jail Superintendent’s house on August 04, Thursday with one person to have an eye on them. As per the rules prescribed by the Karnataka prisons department, no jail inmate can be allowed to work outside the jail premises. But this was something strange they were let free to work in open. 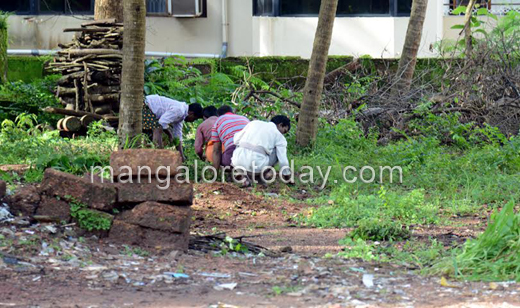 On questioning Superitendent V Krishnamurthy on phone, he answered with rage saying that it was a cleaning campaign organised on behalf of “Swacch Bharath”. It was to the surprise to see them working freely just with only person to guard, was the question? If they escape what will they do?